Anyone playing? I've been playing since Sunday with my buddy. Quite an adventure we had. Well, there were actually several intense adventures. The last one featured going through night with flashlights and accidentally finding our first helicopter in pitch black, then ruining it. It was 'parked' near the building and its blades touched the roof. Or I don't know what happened cause it was dark. 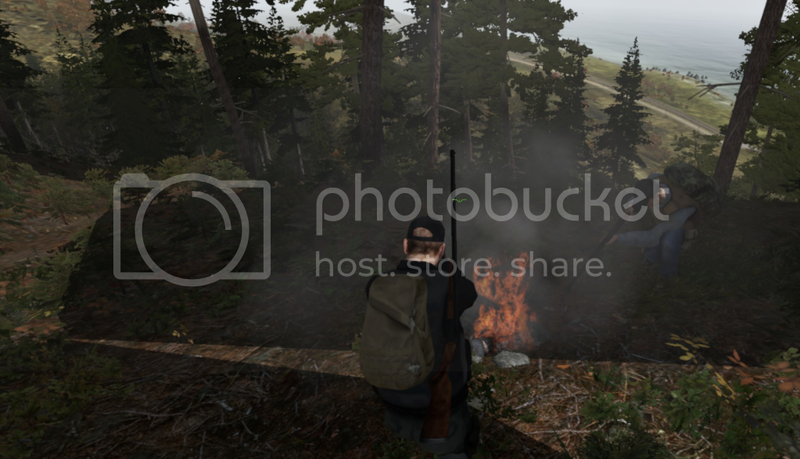 I've just started playing Skyrim, but DayZ had a hostile takeover. 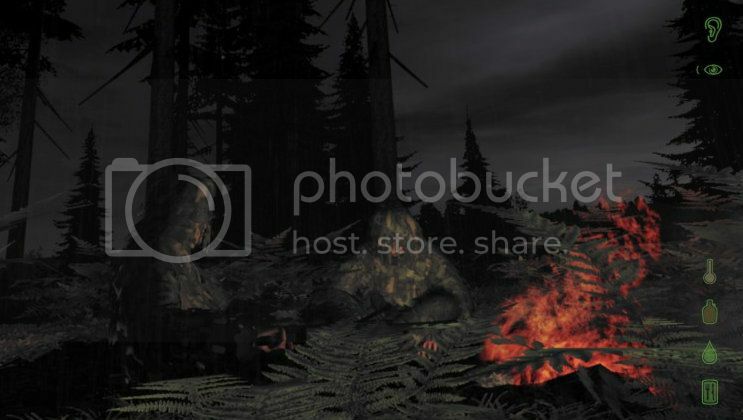 I tried to play DayZ a couple times but it was night when I did... this was before flashlights were introduced. It was pitch black and it was seen as a feature. Haven't really tried to play it since. Played it for a couple months until every server became a contest to see who can come up with the craziest cheats. Great idea for an alpha. Will be a couple years before we have a finished product. So is anyone still playing this or is it just a hackfest? I have been looking at some videos on youtube and I think the game looks incredible, I am thinking of buying Arma 2 so I can play this but I hear now that the game will be released as a stand alone version, which is great news maybe I should just wait for that version to be released. The best video that I have seen so far is one of two guys getting kidnapped on a bus and taken to an arena and forced to fight to the death with axes so only one can leave. Pretty freaky stuff, well worth a watch. Current version has a really nasty bug which prevents me from continuing. As for hackfest... I don't know, BattleEye or something should take care of those things. It's not that much of a hackfest. It's usually just an excuse from people who can't play. 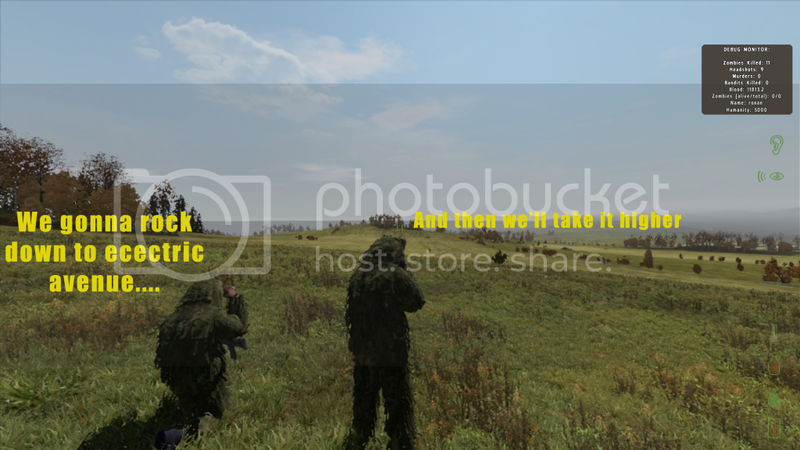 I bought Arma 11 and OA from steam for 25e the other day just to play DayZ, well worth it. Getting a stable game can be annoying and night time is too dark and it is a bit buggy, but it all becomes worth it when you play, its amazing. I can't remember playing such an engaging, complex and rewarding game in years if not ever. At first you are happy with the simple things that help you survive like the ability to cook your own meat. Then you get ambitious, you want more. That's how the game hooks you, want to be better prepared for your death, which will come eventually, but how you live and die is important . I am playing a few days and already me and my eagle eyed brother found a tent shashed in the woods in the middle of nowhere with serious gear, gps, nvg and the best guns in the game and gilli suits, there is going to be one grumpy player opening his tent tomorrow to find nothing but civilian clothes and a can of beans! Apart from the lack of polish, its by far the best coop game I ever played, the added danger of other potentially murderous players makes it an incredibly tense experience. I think this is the start of something big. Anyone who is on the fence about this game I suggest jumping over because it's better than you think, it becomes ten times better when you play with a brother/friend/someone you can trust. Not everyone wants to kill you either, if you are seen and have an obvious gun, you are dead, but if you look like a new player and don't have a gun out, people sometimes let you live. I heard an engine in the distance so I looked for where the sound was coming from, I saw an army jeep speeding at me, so only having an axe I tried to run for the tree line. It was pointless, they were on me in a second and just as I thought I was about to be run down like a dog by a drunk showoff they stopped and beeped a few times. One guy jumped out with a high powered assault rifle an pointed at me, he asked "friendly?" I began to freak out as I had only started playing and had not learned the chat sysyem. So I stood there saying nothing while I tried to find out how to respond in the options, he asked again "are you freindly or not?" I sorted out the chat problem and replied "yep". He asked if I want a lift and I said yeah and that I was new and searching for my brother in cherno and that I did not know how to get there. They told me that they just need to get parts for their car and that they were on the run from a sniper that had been tracking them trying to steal their car (cars are very precious in Day Z). What they did was better...they drove me to where they knew was stashed a bicycle! As of now we are both alive 25 hours and tooled out to the max, we don't seek out other players to kill but if we meet anyone and they are armed, they die, it's just too much of a risk to let someone live so they can track you then ambush you. The game brings out the best and the worst in humans and that's why it's so great. I personally have not had to deal with any hackers but I have found some of their gear, they game needs to be cleaned up but it's still well worth anyone's time. If you can get past a few very annoying bugs and issues then this is an absolute must, especially for stealth and survival nuts.